Our Safford dental office is committed to helping our patients maintain a healthy smile for life. Our state-of-the-art practice has been serving patients in the Gila Valley and surrounding areas of Morenci, Duncan, and Willcox since 2012. We have the tools and the technology to improve your smile...easily and comfortably. We look forward to the opportunity to show you what we can do! Doctors Mark Palmer and Mark Johnson bring many years of dental experience to our office and hold their team to the highest standards of care. The entire team is dedicated to providing you with the personalized, gentle care that you deserve. We are always accepting new patients! We see patients of all ages and look forward to the opportunity to work with you to achieve your goals. At our office, your comfort is our first concern! In an effort to better serve our patients, our goal has become to provide all necessary dental services under-one-roof. This is something that makes us unique in the Safford dental community. We have an orthodontist, endodontist, denture technician, as well as a doctor trained in sedation and wisdom tooth removal. These practitioners are all part of the Palmer & Johnson Dental family, which helps eliminate the expense and time associated with travel to and from out-of-town specialists. Want more information? Please feel free to contact our office at (928) 428-6161. We're conveniently located just off the corner of 8th Avenue and 8th Street in Safford. We have patients from near (Safford, Thatcher, Pima, Solomon) and far (Morenci, San Carlos, Willcox and Lordsburg, among other locations.) We're flattered that patients travel great distances to see us. It motivates us to put our best foot forward every day and strive to exceed patient expectations. Part of our commitment to serving our patients at our Safford dental office includes providing information that helps them to make more informed decisions about their oral health needs. This website is a resource we hope you’ll find both useful and interesting. Our team loves what they do and are committed to providing the highest level of care in a relaxed and comfortable setting. 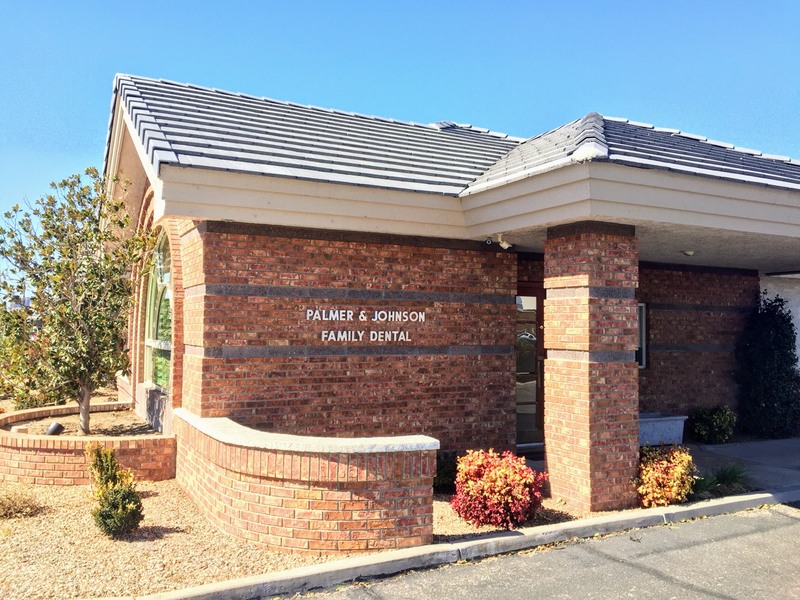 We look forward to your visit to Palmer & Johnson Family Dental; our goal is to exceed your expectations!